If you or someone you know is starting to consider Aged care options, you may well be feeling overwhelmed. It's complicated and requires a lot of decision making at what is usually an emotionally charged time. At Yield Financial Planning we have helped several of our client’s family find the right financial outcome for them, leaving them to focus on finding the right accommodation and care to best suit the individual need. 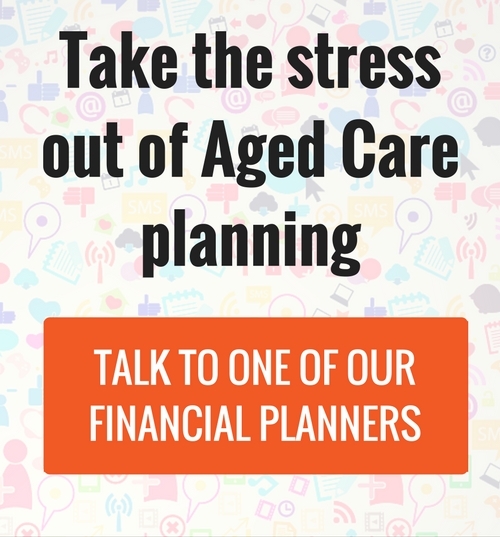 With so many calculations to consider that determine the overall cost of Aged Care, including a Basic Daily Fee, Means Tested Care Fee, Refundable Accommodation Deposit (RAD), a Daily Accommodation Deposit (DAP) and then any additional 'extras' offered by Aged Care providers, along with various income & assets tests and fee caps, we can work with you to break down what you might pay and plan your assets, to maximise your Centrelink Age or DVA Pension entitlement. Often people are confused as to whether they should sell the family home or keep it as an investment, pay the full accommodation bond or only part and the answer to each of these questions is entirely dependent on the individual circumstances, including amongst other things, health. Some investment products can increase Aged Pension or DVA entitlement and we will consider these as an option, to meet the immediate and medium term needs of the individual, while remaining considerate of the estate.